Pennies for Haiti would like to thank all it’s 2010 – 2013 corporate sponsors for their support: The Church at Sun Coast, Sedgwick LLP, Mon Papillon Events, Waterway Black, Rockport Global Advisors, Uniik Memories & TekClinic. 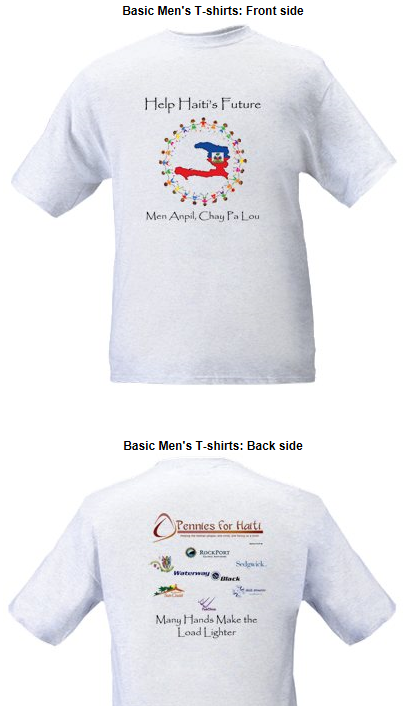 The Pennies for Haiti 2013 t-shirt is printed and we will be proudly thanking our sponsors as we wear the t-shirt at the Dec. 22nd event in Port-au-Prince, Haiti. Donate today at http://www.gofundme.com/penniesforhaiti. Thank you for your support.